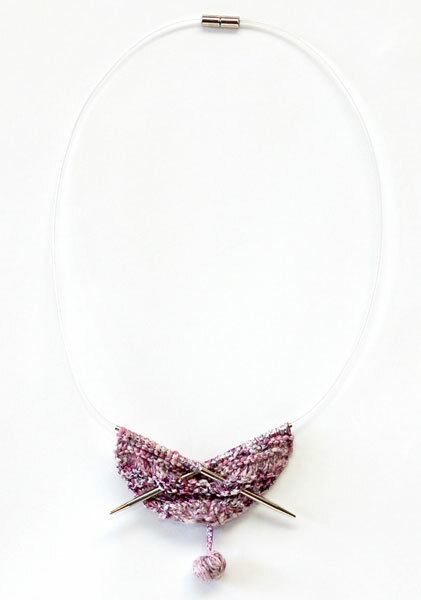 Pavia Lewis is a knitting artist who found an outlet for her striking jewelry in her business called ‘Miknitures®’. 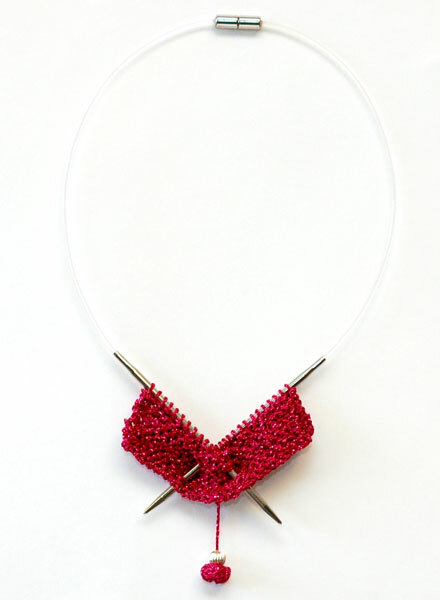 Pavia uses decorative miniature (mikniture) knitting needles paired with coordinating yarn, to make remarkable pieces of knitted jewelry. 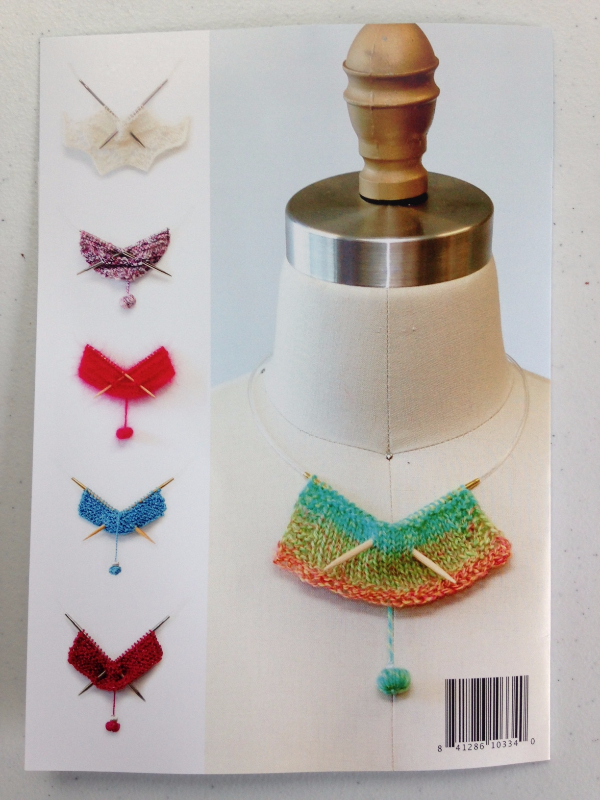 Pavia’s work has been featured in publications such as Vogue Knitting, Creative Knitting, Cast-On, Living Crafts, and Interweave Knits, and her work has become recognizable nationwide. 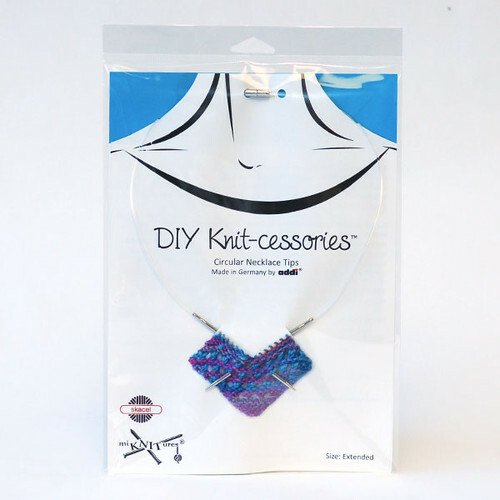 Lewis has now combined efforts with skacel and addi® to provide custom hardware for her renowned innovation, allowing knitters to make their very own wearable art! For flexibility of personal style and fit, the necklace bases are available in addi® Natura or addi Turbo® needle styles, in two different lengths. Standard size: Approximately 20-3/4 inches from tip to tip. 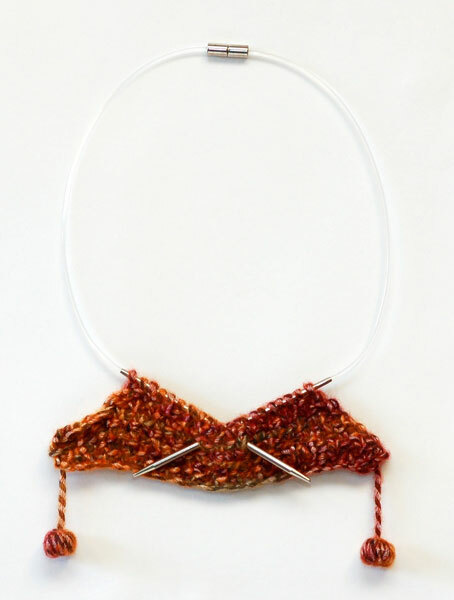 Extended Size: Approximately 24-1/4 inches from tip to tip. 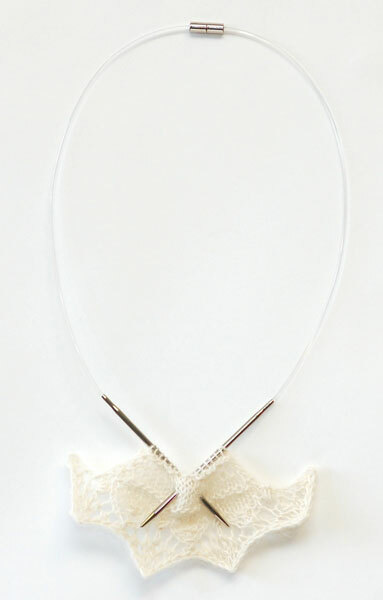 The necklaces have a strong magnetized closure in the back, making for easy fastening and removal. 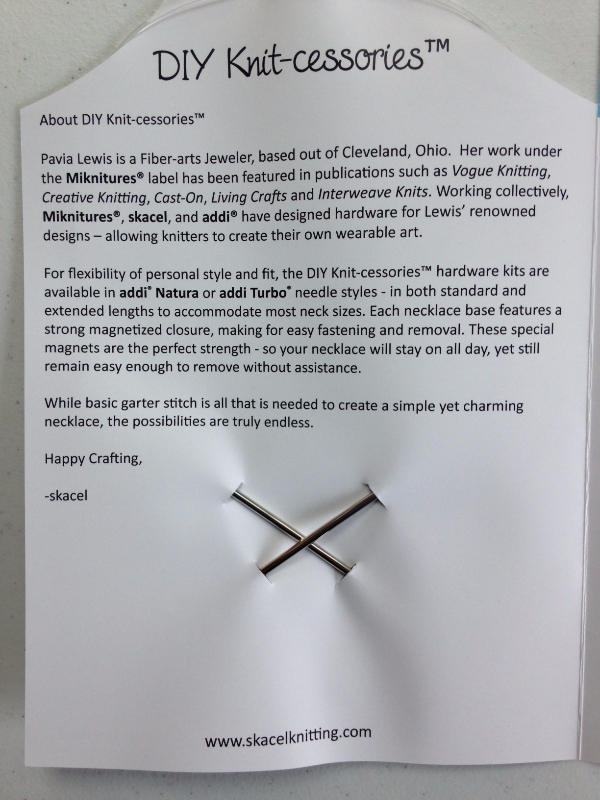 These special magnets are the perfect strength - so your necklace will stay on all day, yet still remain easy enough to remove without assistance! 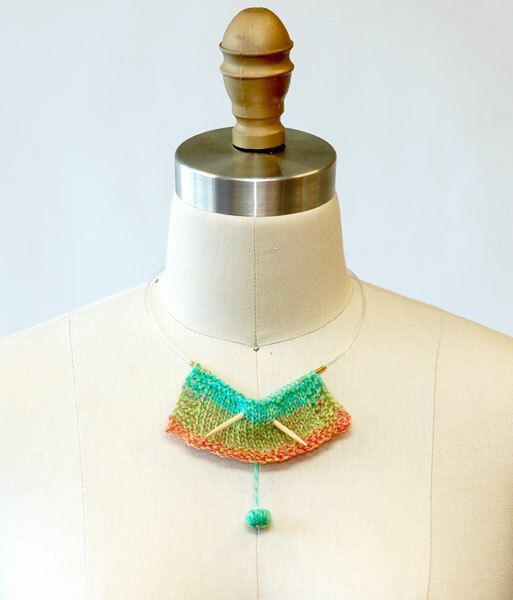 While garter stitch is all it takes to make a simple, yet charming necklace, the inspiration is endless, so feel free to tap into your creativity and incorporate various yarns and stitch patterns to your heart’s desire! 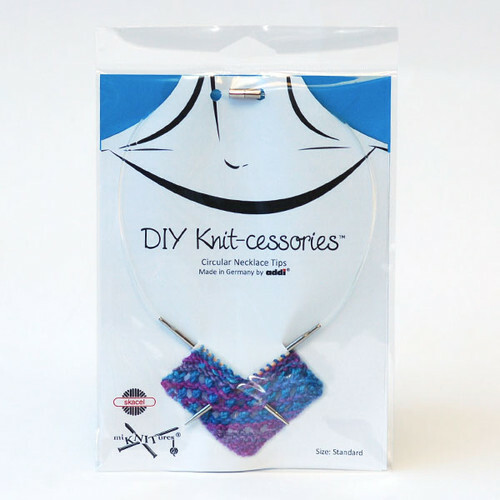 Wear your passion for knitting around your neck, and have some creative fun! 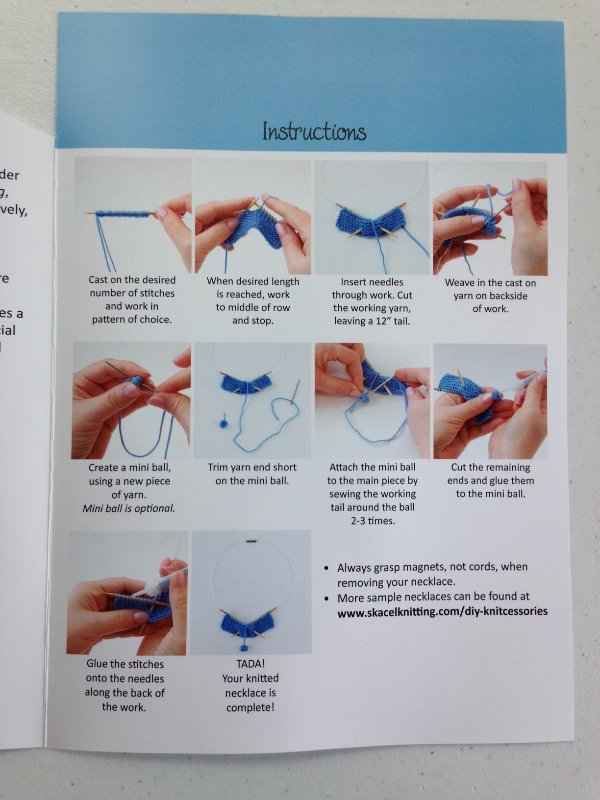 Instructions included on the inside of packaging. See photo.